Lizzie is happy to see me when I show up to feed or visit her. Mama sheep is just wondering if I have any grain for her. 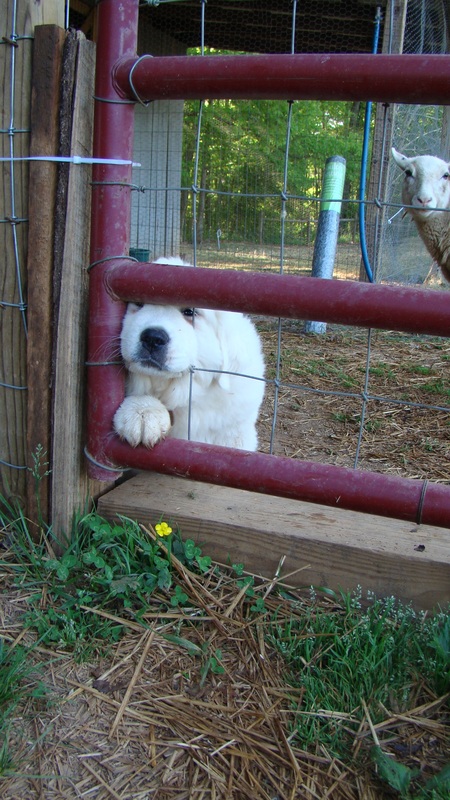 Has her little face crammed in the fence, lol. Her paw is huge!